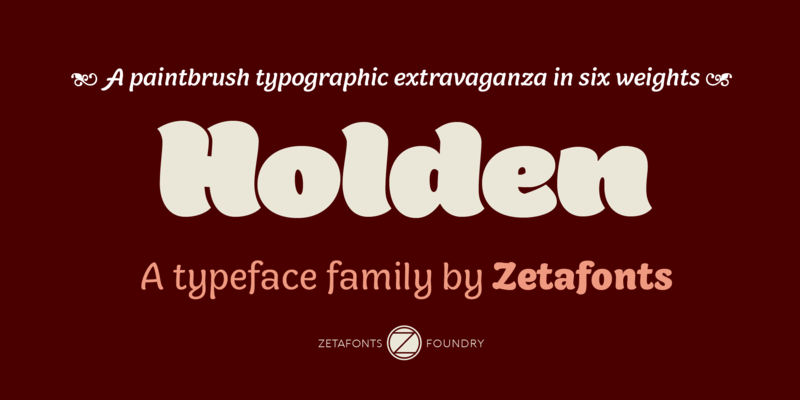 Holden is a typeface family designed in 2018 for Zetafonts by Cosimo Lorenzo Pancini with Andrea Tartarelli as a research in texture and extreme weight range. 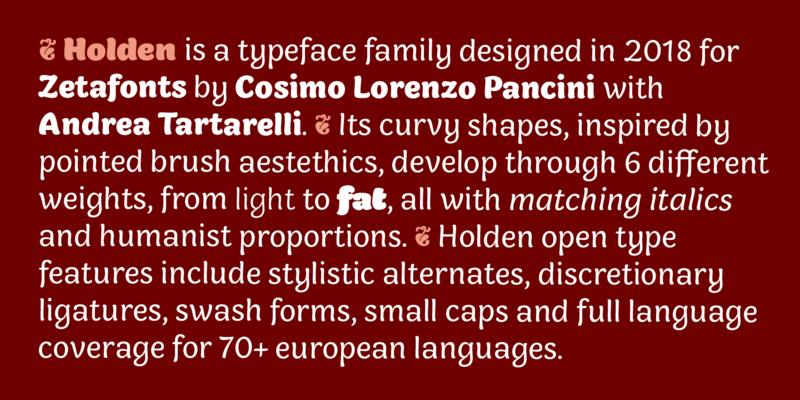 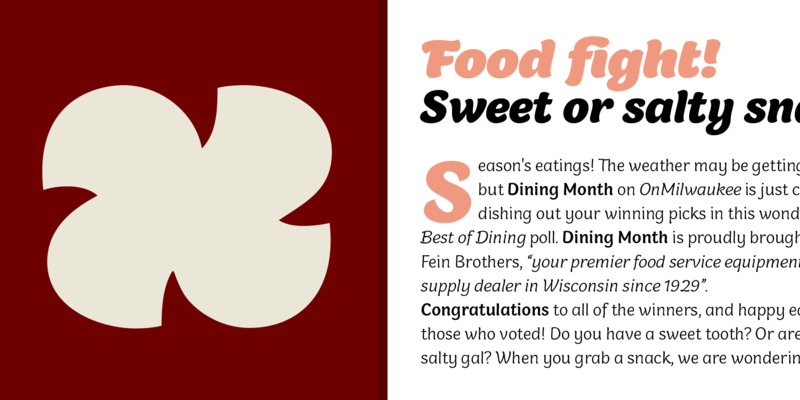 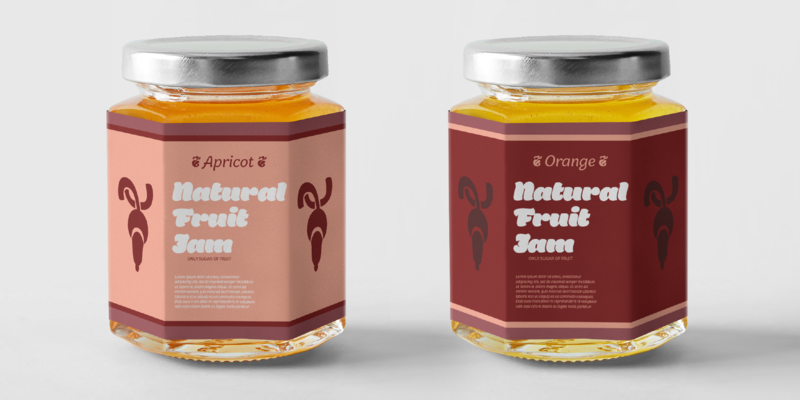 Its curvy shapes, inspired by pointed brush aesthetics, are developed in six different weights, from the lightly contrasted thin to the fluid and rhythmic fat. 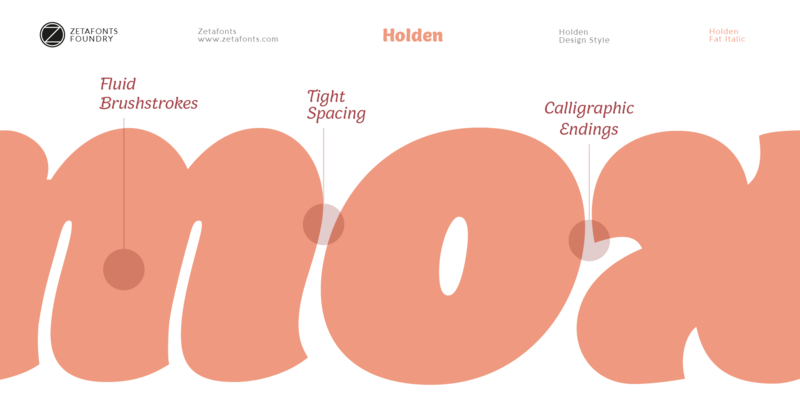 The lightest weights are mostly designed for text usage, while the heavier weights work better at display sizes, where the extreme shapes and tight counter-spaces are better appreciated. 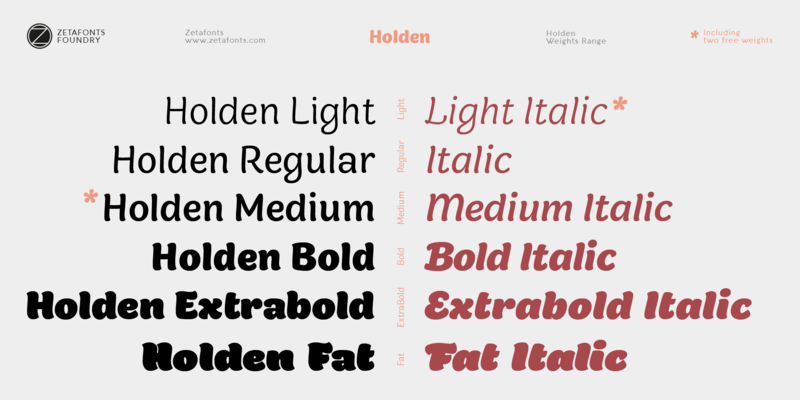 Holden aims to fill the space between display and text typeface, with a range of variants that allows maximum expression in display use and great legibility in long texts, on the web and at small size. 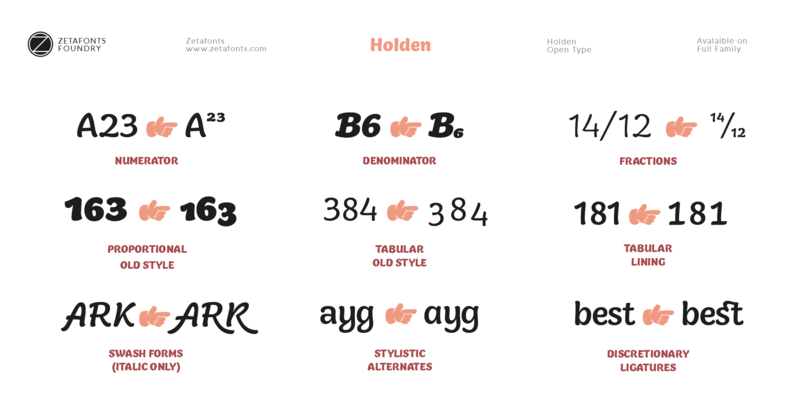 Holden is designed for editorial or packaging use where a contrasting range of weights and variants is required to fight monotony while keeping branding consistent. 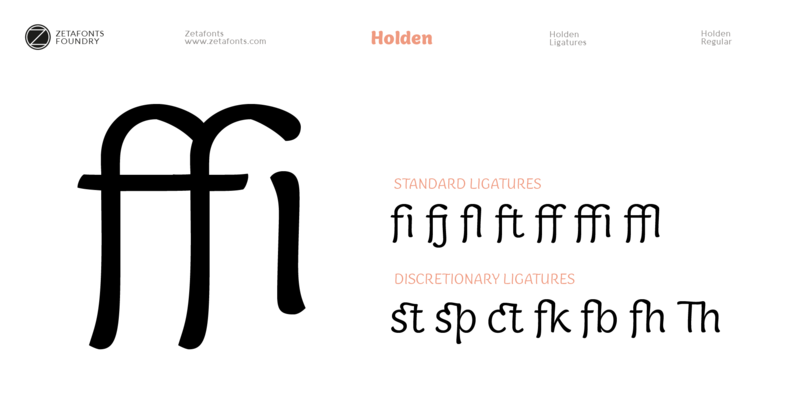 All Holden fonts include full open type features with stylistic alternates, small caps, discretionary ligatures, positional number forms, swash forms (in italics) and full language coverage for +70 languages using latin alphabet. 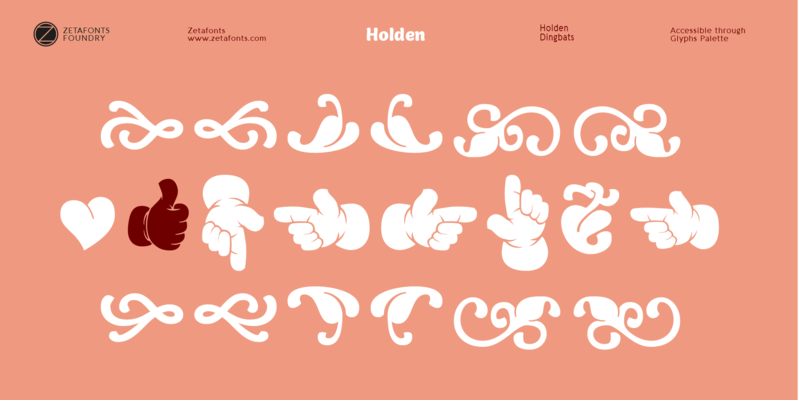 An array of extra decorative dingbats are included to complement your design with pointing manicules and fleurons (also called "horticultural dingbats" by Robert Bringhurst in The Elements of Typographic Style).